You gotta hand to Big Tobacco. They know how to create brands and get people to buy their products. Of course, they spend literally billions of dollars on creative agencies and advertising, so it’s no wonder they’ve been able to create brands that everyone knows and recognizes – Marlboro, L&M, Winston, Camel, etc. blu eCigs is a brand of e-cigarettes that was bought by Lorillard, the third largest tobacco company in the U.S. You may have seen their commercial featuring Stephen Dorff. Why does Stephen Dorff do this commercial from the beach, when one of the huge advantages of e-cigarettes is the fact you can vape inside bars and restaurants? I’m not a big fan of the blu eCigs commercials. My biggest criticism is the setting: Mr. Dorff is outside, on the beach. I have to wonder why they chose this particular setting. I mean, you may not be able to smoke on the beach in California and a handful of other states, but you can still smoke outside on most beaches and public parks. One of the biggest advantages of e-cigarettes is the fact that you can vape inside most bars and restaurants, while smoking is banned from these indoor places in most states. Picture watching this commercial with the mute button on (which is how I watch most commercials, if I watch them at all). They totally missed an opportunity to visually show one of the clear-cut advantages of e-cigarettes, particularly for people who are “social smokers” – mostly smoking when drinking. Don’t present a fire risk. Let’s just take one of the advantages of e-cigarettes: the fact that e-cigarettes produce NO secondhand smoke. According to the CDC, secondhand smoke kills nearly 50,000 Americans a year, and nearly 1,000 of them are infants. Worldwide, secondhand smoke kills 600,000 people a year, and nearly two-thirds of them are children. One in 100 people die worldwide from secondhand smoke. In short, tobacco use is one of the biggest public health threats the world has ever faced. 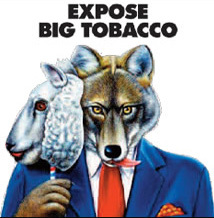 As part of a $206 billion dollar settlement in 1998, the big tobacco companies agreed to pay for advertising campaigns to educate consumers about the dangers of tobacco. But there was a catch: the settlement mandated that those ads could not vilify or attack the companies that make cigarettes. 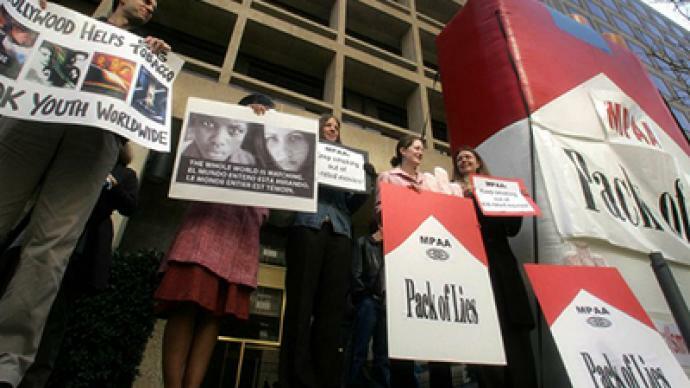 Non-profit groups could vilify Big Tobacco for the pack of lies they used for years to sell cigarettes. Fortunately, many non-profit anti-smoking organizations were not bound by the anti-vilification clause, and they had a field day, educating the public about Big Tobacco’s unscrupulous advertising methods aimed at teenagers to get them hooked (among other things). So let's get back to the fact that Big Tobacco is now advertising e-cigarettes. There’s an inherent conflict of interest, because they would never say anything that would potentially hurt the brands of cigarettes they’re also selling. In other words, they’re talking out of both sides of their mouth. And I’m no longer listening. 1) Lorillard did not "create" Blu ecigs... they simply bought an already existing brand (http://www.cspnet.com/news/tobacco/articles/lorillard-acquires-blu-ecigs), and I think this was partly due to the fact that Blu is one of the few ecig manufacturers to hold a patent. 2) I live on the coast in CA and most of the beaches here have a "No Butts on the Beach" Law in effect!! Due to the millions of cigarette butts picked up during the annual Beach Clean-up days, because a lot of smokers think the beach is just one big ash can, smoking has been banned not only at the beaches, but a lot of Public Parks as well!! Please do a little more research when writing your articles... there is already enough misinformation out there as it is!! Thank you for your comments and you are absolutely right in that Lorrilard didn't create blu eCigs. I did know that; I just misspoke and have now corrected that fact. I also made note of the fact that CA is one of a handful of states that banned smoking on beaches and public parks. But the beach ban is not ubiquitous, and for those of us who visit and vacation near beaches where smoking is allowed, it's still a little bit of a disconnect. I still think that it would have had a greater impact if Mr. Dorff was vaping inside a bar, where smoking is more commonly banned in most states. Again, thank you for your comments and keeping me honest and accurate!! No disrespect but Marlboro is the king of cigarettes calling it a "pack of lies" was really humiliating. I think Electronic cigarettes are great but competing with Marlboro is not an option.Nobody messes with the legend. There are dozens of e-cigarette models which are sold online and in shops, all under hundreds of different trade name but i didn't know about the blu eCigs, thanks for sharing it with us. They are working very hard to promote blu ecigs, I haven't seen any other electronic cigarette company running so many advertisement campaigns.